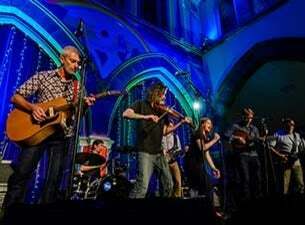 A six-man band and a rip-roaringly good vocalist, Scotland’s Shooglenifty stir up a fiery and infectious blend of Celtic traditional music and dance grooves known as ‘hypno-folkadelic ambient trad’. Famed for their out-of-the-box performances, fling your frustrations out the door and skip right up to the cèilidh with these inventive and brilliant Scotsmen. If you want a seat, book a booth, otherwise it’s standing all the way!